on Sunday I taught an American pie making class to a bunch of Italians (they loved it), and then my husband and I played an old-time music concert. Torino apparently loves vintage and retro Americana. 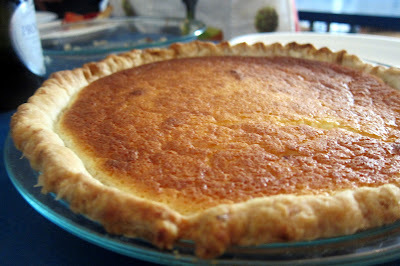 And pie. Because who doesn’t love a good pie? Between the pie class and the concert, my husband and I went for a stroll around downtown Torino. We stumbled across the Sunday farmer’s market, which is spectacular, and I stuffed myself with goats cheese and local hazelnuts. 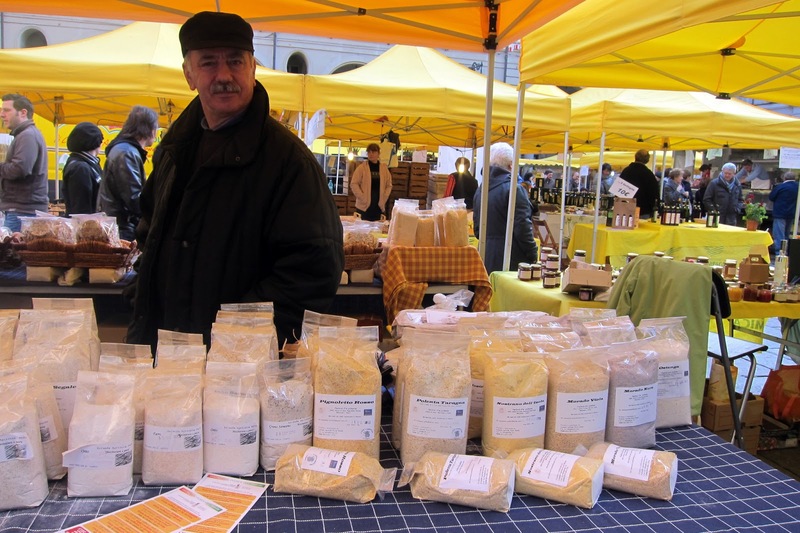 While that is pretty awesome by any standard, I then came across a jackpot: heirloom polenta. A rainbow of polenta. Six different colors! I consider myself a bit of a polenta junky. My bandmates like to joke that even though I am American, I make polenta like a Valdostana, because I take my polenta so seriously (see my other polenta post!). 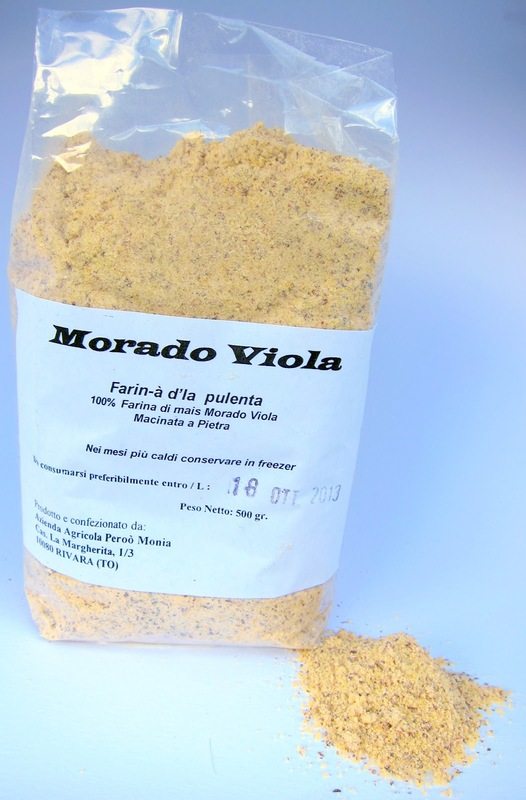 Up until now, I’ve really only tasted/seen/cooked polenta from Valle d’Aosta… it is coarse, yellow, and usually smothered in Fontina. However, I am discovering that there is a whole world of polenta. 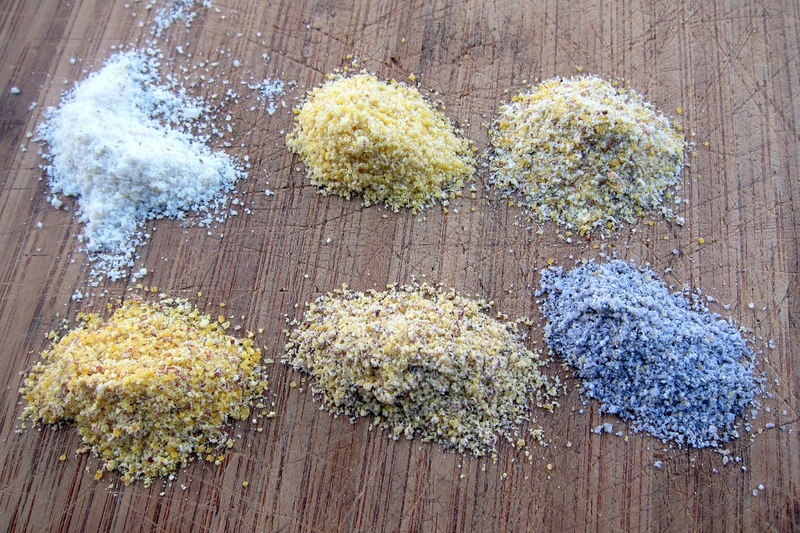 Each region has their own varieties of corn, that corn is ground to different consistencies, there are different cheeses that they mix with it to make it concia, top it with different meats, and cook it using different methods. 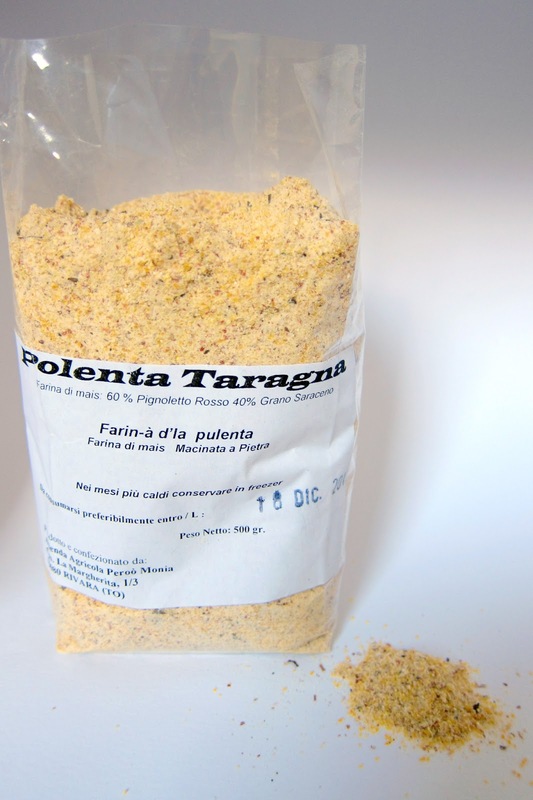 The polenta I found at the market has me incredibly excited. They are all heirloom ancient varieties of corn… there used to be dozens of different types of corn used for polenta, but in the past century nearly all of them have been lost. In recent years they managed to somehow recover and preserve six of these old varieties, and now people are starting to eat them again. This is some seriously beautiful polenta. As close to pure white as polenta can be, this is a special variety mostly eaten in the NE of Italy with small shrimp. Who know Italy had their own version of shrimp & grits? PURPLE polenta. 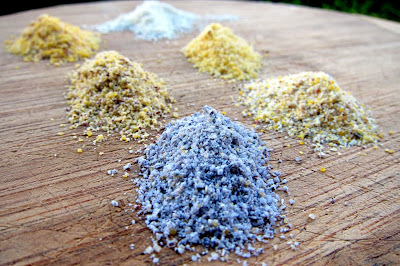 Well, the corn is purple, and when they mill it, you can see that the husk is a lovely purple color. This is a mild tasting polenta that is good for just about everything, though the polenta guy recommended delicate tasting meat. 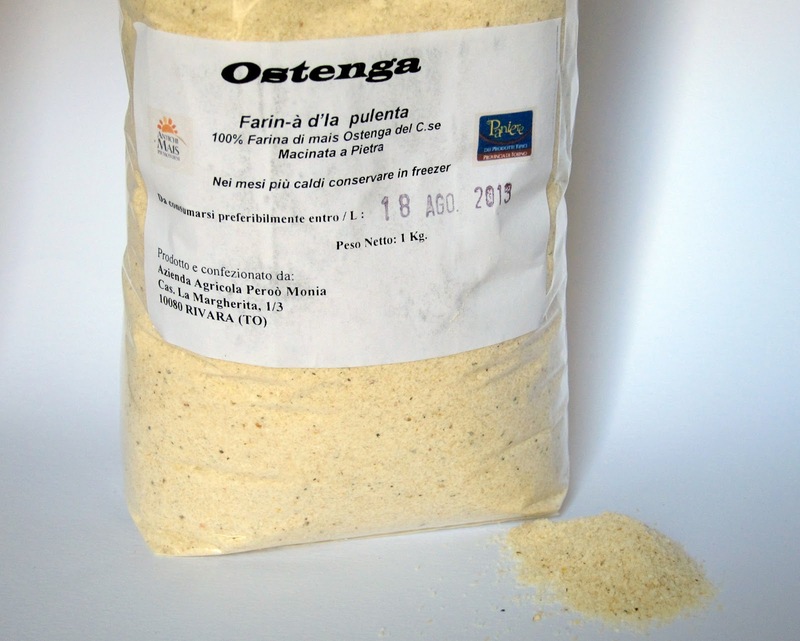 I’ve actually eaten this one before; it is more finely milled than polenta from Valle d’Aosta, and it has a strong, slightly bitter taste. 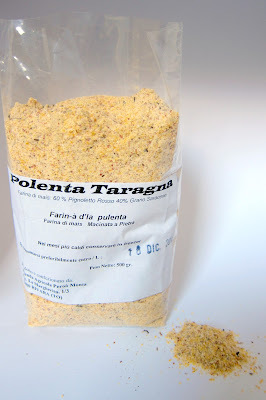 The polenta guy recommended topping it with ‘salvagino’, which is any sort of wild game like boar, wild goat, or deer. 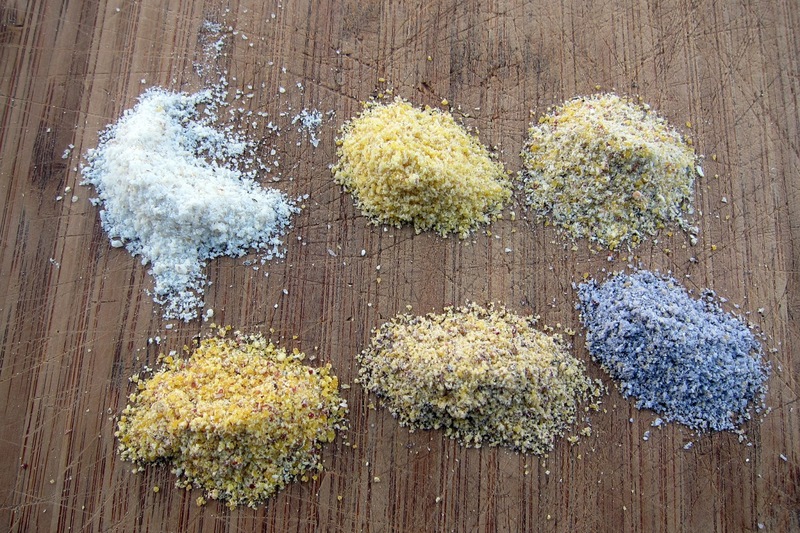 Like the purple polenta, the corn is red, but when it is milled only the husk is colored. I’m the most excited about this one…. 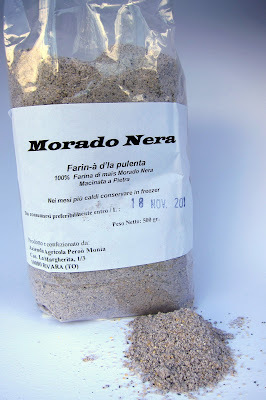 black polenta! It looks just like fireplace ash. 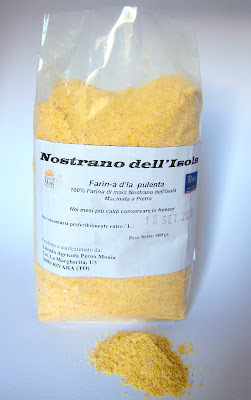 The polenta guy said it is good topped with meat or fish, but a more ‘special’ way to prepare it is to spread it in a pan after cooking and let it cool. Cut it into squares, and broil it in the oven for a few minutes topped with gorgonzola or stracchino cheeses. Let cool and serve as an aperitivo. Isn’t the black polenta gorgeous? I’m in love. For a ‘crash course’ on how to make polenta, see this post. 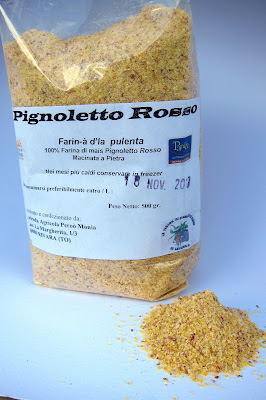 I’m sure I will be back with updates as soon as I have a polenta party to test out these beautiful polenta varieties!